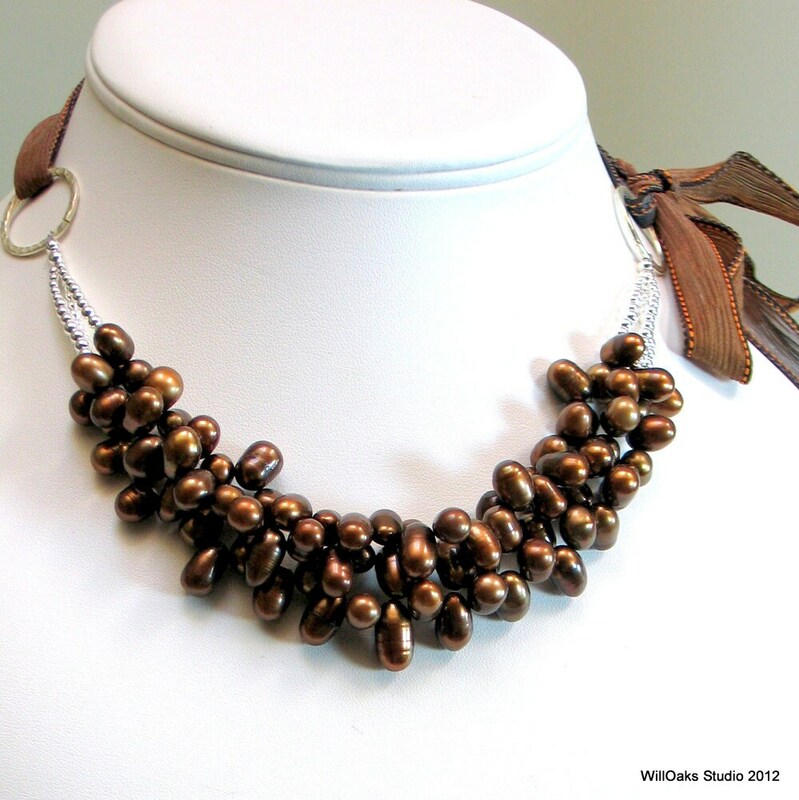 This WillOaks Studio original statement bib design features a beautiful cluster of big glossy chocolate brown pearls as front and center. I call it a deluxe designer bib because the pearls are extraordinary. Sterling silver graduated beads connect the bib to a silver plated steel link. An artisan made silk ribbon allows the wearing length to be fine tuned for the right look to suit your neckline. 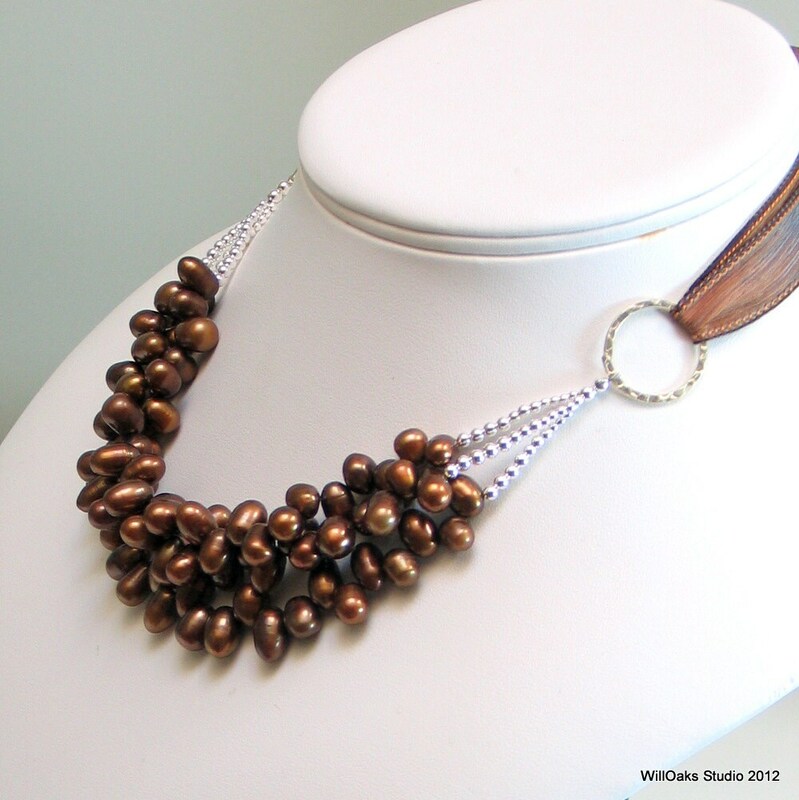 A very special batch of designer pearls inspired this rich brown necklace--pearls sized from 10 x 7mm to 14 x 8mm. The limited edition has one bib made and ready to ship! 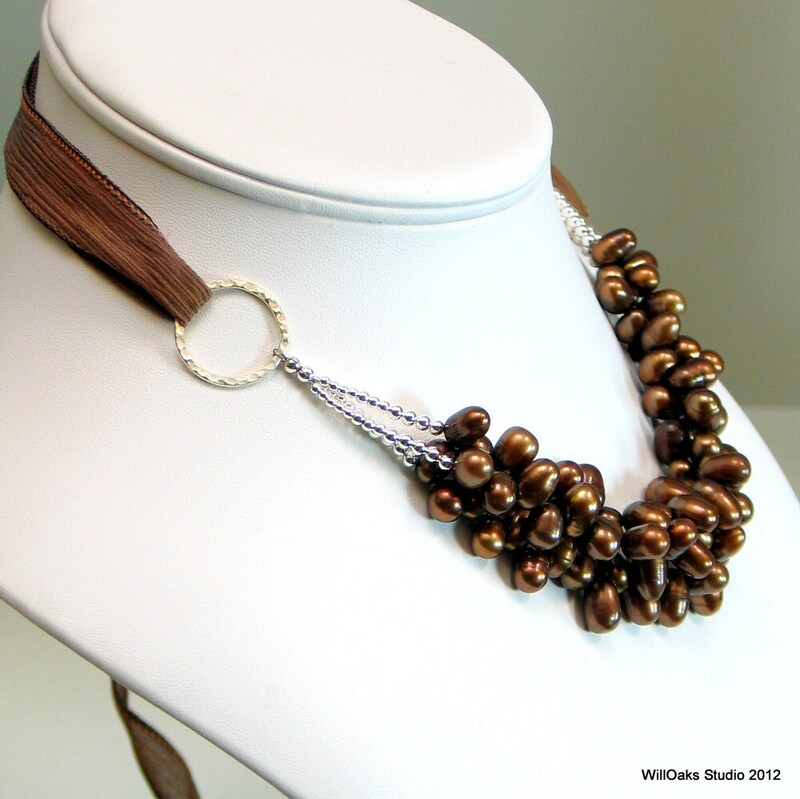 Easily adjustable from choker to opera length, to be worn with a bow or a knot, as you like it. The pearl focal point measures about 9 1/2" long including the rings, and drops over 1" in the front. And my original "ring and ribbon" design allows the ribbon that adjusts the pearl bib to be exchanged for other ribbons and ties--so you can have the versatility to find your own style!